In the next few weeks I'll be writing in detail about my trip to Italy this June. For the moment, I'd like to share some highlights of our visit to this country that calls you, like a siren, to come back for more. 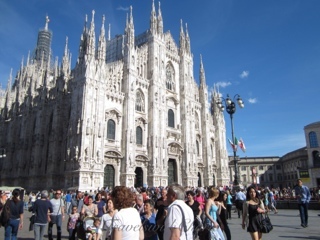 It took more than four centuries to complete the construction of Milan's Duomo. Napoleon Bonaparte demanded it be ready for his coronation as King of Italy. This photo was taken on a Sunday, sunny day and family day. A short train ride from Milan to Lake Como and a total change of pace. Far from the madding crowd, Lake Como is naturally beautiful and peaceful in late spring. It might be quite a different scene in summer. We made a pilgrimage to Padua in the Veneto region to pray at the tomb of St. Anthony. The feast of St. Anthony is on June 13 and we we were lucky to have participated in one of the masses during the 13-day long festivities. To write about Venice is to tell only half the story. For Venice is a sensory feast. It is not easy to convey in words all that it offers. Rather it must be experienced. How do I explain what I felt on seeing it for the first time? 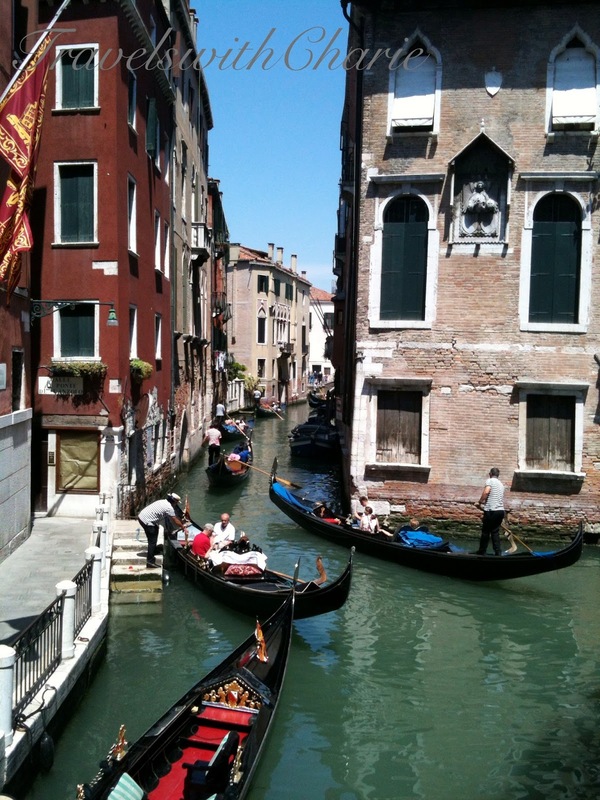 I heard the bora fiercely making its way across the islands drowning the alto voce of the gondolier. I hungrily followed the scent of freshly baked pastries in the early morning hours when the locals were still dreaming in bed. And I got hopelessly lost in the labyrinthine alleys only to find myself in a quiet piazza only a stone's throw from the hordes of visitors in Piazza San Marco. Venice seeps through the bones leaving an indelible impression.